Posted 02 years 01 months 1 days 19 hours 35 minutes ago. 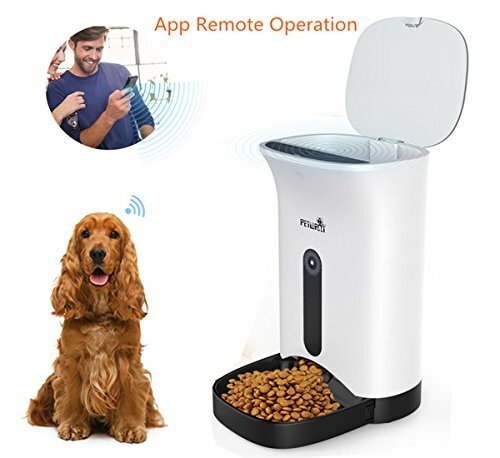 Smart pet feeder-Feeding pets through smartphone app. 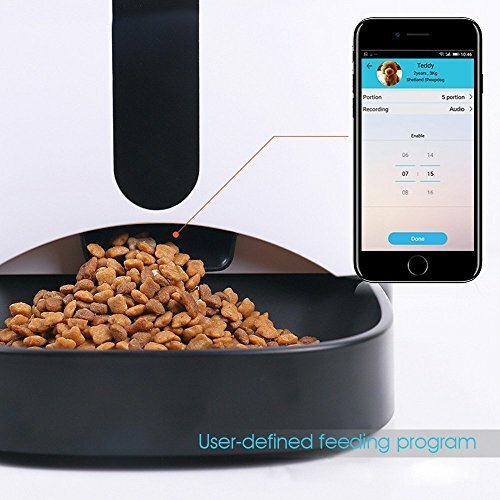 Easily monitor the amount of food served at each meal time, and you can use your smartphone to control the feeder whenever and wherever you are located. With food measurements ranging from 10 grams to 100 grams per serving, you can cater the meal to your pet’s specific dietary needs. 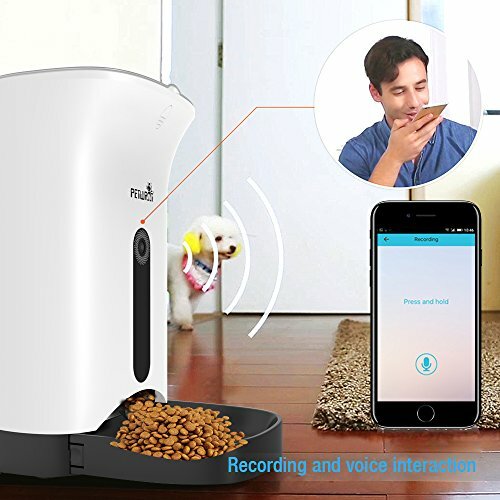 The front 100,000,0 pixel camera can record every movement of your pet. You can watch your dog or cat anytime you want, as long as there is light. 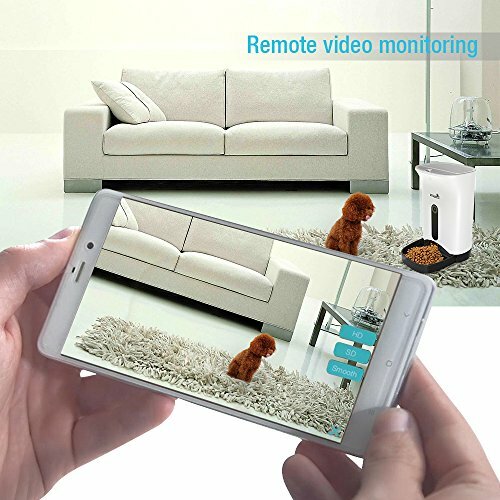 The HD front camera allows for convenient video surveillance to check on your pet’s activities. Find out what your pet is up to while you’re away. Record your favorite moments and store them on your phone or RolliPet microSD card. Link your social media account to your smart pet feeder app to share them online. 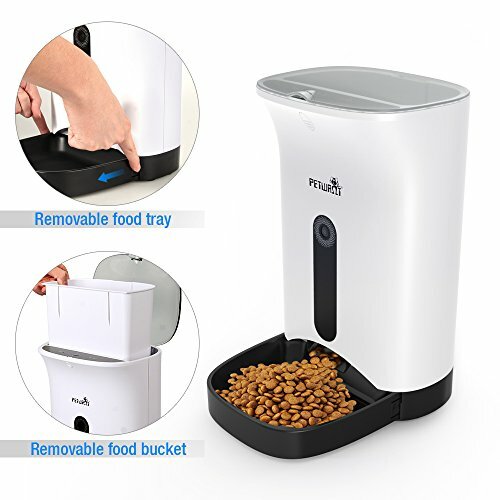 The collapsible feeding bowl and pet food storage container make it easy to clean up it and provide your pet with a cleaner and safer eating environment. 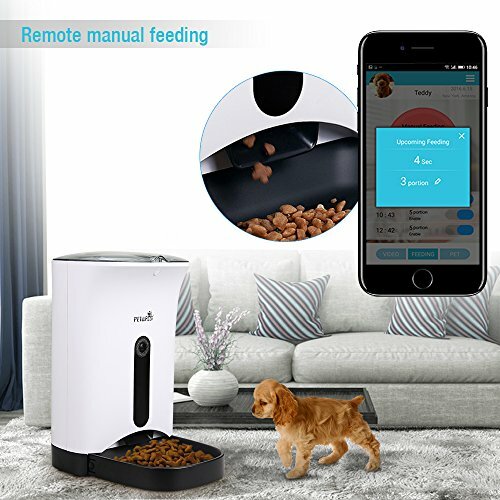 Automatic feeding for 1-4 meals/day, 1-10 portions/meal( about 10g/portion), manual feeding is available at any time. 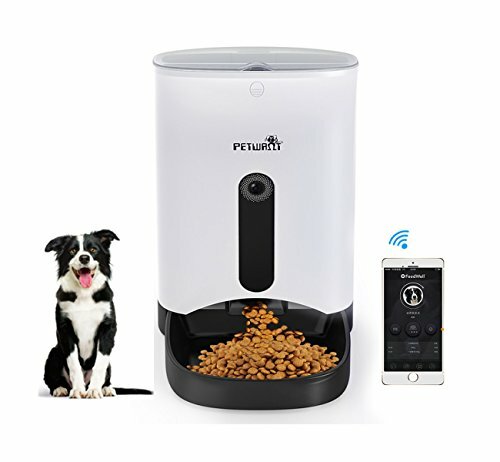 Automatic Pet Feeder has a 1 megapixel camera with a 120 degree super-wide angle lens. 10s voice recording, messages can be recorded in advance for options. Voice reminding function at feeding time. 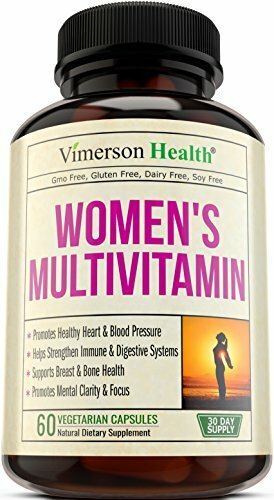 Attention: Dear buyer, our products for sale are all delivered by Amazon. 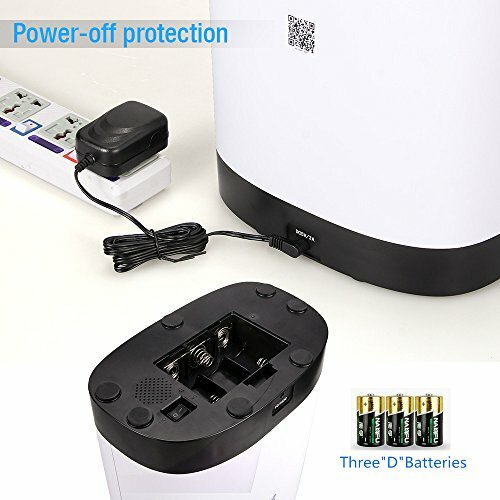 Please do not buy products in merchant listing. 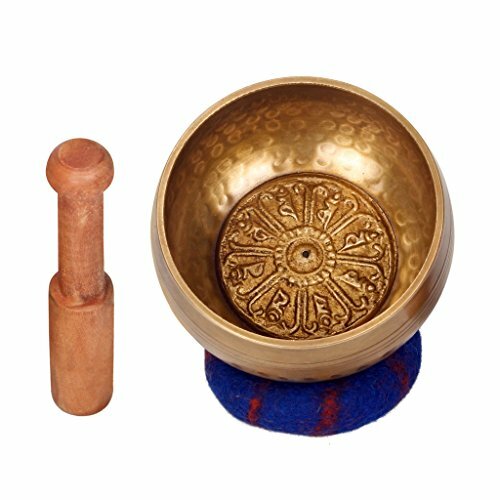 If the products in merchant listing have any problem of quality which effects customer experience or other problems, we are not responsible for it.